No wonder chocolates are the ultimate Ecstasy. How about filling your loved one life with a loads of chocolates? 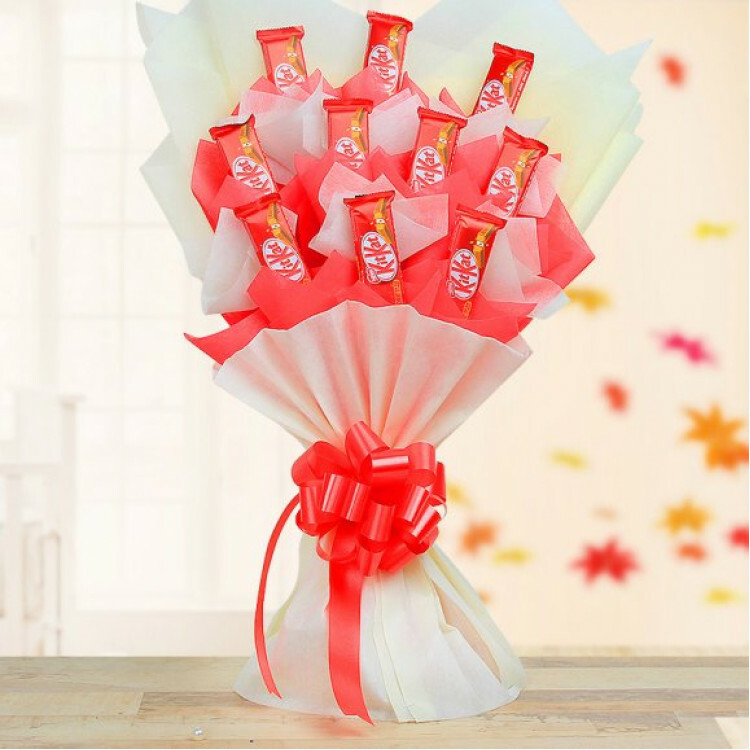 Surprise him/her this beautiful arrangement of 10 Kit-Kat chocolates and let them know how much you love and care about them.